CPCS convenes a range of conferences and meetings in order to facilitate information sharing, strengthen strategic networks, create space for dialogue between conflict actors, and build capacity and coordination between peace process stakeholders. 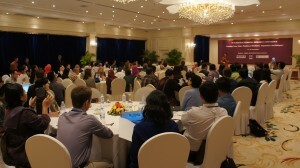 Organised and hosted by CPCS, the annual Peace Practitioners’ Research Conference (PPRC) aims to enhance the sustainability of peace work in Asia by providing a space and opportunity for people involved in peace processes, peace practitioners, researchers and scholars to reflect on and share successful peacebuilding theory and practice in the region. Liaison Offices are considered by some to represent the best entry point for building a concrete infrastructure that strengthens ties between parties to provide more sustainable and strategic peace process support in Myanmar. 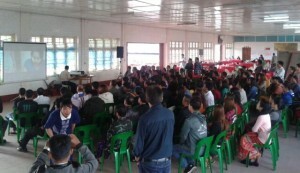 Established across the country, Liaison Offices are placed in a unique position to serve as primary connectors between armed groups, the Myanmar Government and local communities. Recent ceasefire agreements in Myanmar have brought Liaison Offices to the forefront of the peace process, primarily as structures to maintain and strengthen communication between parties. Together with the Euro-Burma Office, CPCS organises Liaison Office Conferences three times per year to provide training on peace processes and critical aspects of the Liaison Office functions.